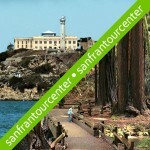 Home › Best Priced Alcatraz Tour Packages › Deluxe Alcatraz and 2 Day Hop-on Hop-off + Night Tour and More! 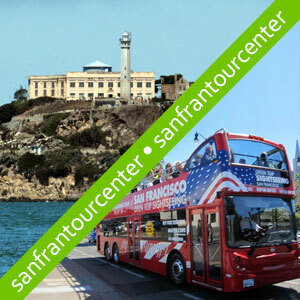 Deluxe Alcatraz and 2 Day Hop-on Hop-off + Night Tour and More! You can’t beat sitting back back and relaxing as you cruise through the city on an open top bus and learn about San Francisco’s unique history. You have the choice of a personal recorded or entertaining live commentary. You have the opportunity to hop on and off the bus for a full day at many places of interest; to explore, visit attractions or to take refreshment before hopping back on-board to continue your journey. 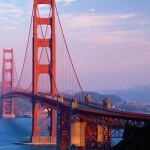 The tour’s main highlight is the journey over the fabled Golden Gate Bridge and the stunning views back across San Francisco Bay from Vista Point as well as the so-called Painted Ladies of Alamo Square are not in fact not ladies at all, but Victorian Houses that form part of one of the unmissable picture-postcard vistas of San Francisco. Wander uphill a little way from the Painted Ladies and enjoy an unrivaled vantage point from which to photograph or simply take in the breathtaking views of the city. The hop-on, hop-off facility gives you the freedom to plan your own itinerary and to visit the places that interest you. You can hop on and off the open-top buses as many times as you want within the validity period of your ticket at any of the locations listed above and more. Of course, you are welcome to remain on the bus for the whole of the tour if you don’t want to get off. The buses run every 30 minutes from 9:00 am – 6:00 pm all day everyday. 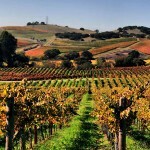 This is to ensure that you are able to start the tour at your convenience and also that a bus is ready regularly in order for you to hop-on and continue your sightseeing tour after exploring the many attractions in San Francisco. Visit the picturesque waterfront community of Sausalito, a short distance from the Golden Gate Bridge, on the Big Bus Trolley. Discover distinctive boutiques, wide selection of restaurants and cafes, and unique art galleries. Relax in the park, or explore the narrow streets in the hills of this quaint seaside town. Every 20-30 minutes. First bus 10:15am, Last Bus 4:30pm. Now, to top off your San Fran adventure, enjoy an amazing historical tour by taking the Alcatraz ferry to the most infamous prison in the United States… Alcatraz! 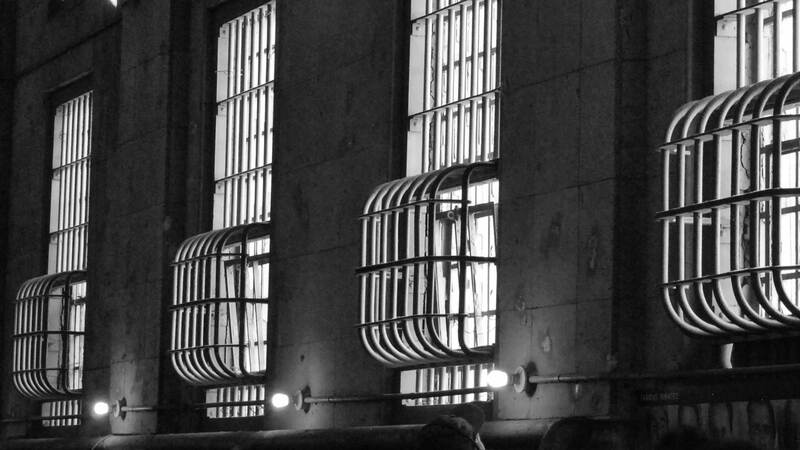 Experience the incredible stories first hand within the jail walls by listening to the audio guided tour of Alcatraz prison narrated by its ex-prisoners! Once home to some of America’s most notorious criminals, the federal penitentiary that operated here from 1934 to 1963 brought a dark mystique to the Rock. The presence of infamous inmates like Al “Scarface” Capone, and the “Birdman” Robert Stroud helped to establish the island’s notoriety. To this day, Alcatraz is best known as one of the world’s most legendary prisons.You will experience the beauty and history of San Francisco and the infamy of Alcatraz on the San Francisco Bay. We suggest that you take full advantage of you Hop on Hop off time by choosing a separate day for each tour (e.g. One day Alcatraz, next day Hop on Hop off). Also, you should review your confirmation email carefully as there will be a specific date and time for your Alcatraz Tour. Valued at $37.25 for adults, or Children $22.75; you’ll be astounded what you will see and learn at Alcatraz and the San Francisco Hop on Hop off! Chinatown Walking Tour takes you through the world famous historic neighborhood. See the magnificent Chinatown gates, the busy marketplace and the vibrant mix of historical and modern day culture. Our qualified tour guides will take you to the best places for authentic Chinese tea, Dim Sum, herbs and the fascinating fortune cookie factory. Walking tour take approximately 1 hour. As you cruise through San Francisco you can enjoy an informative and entertaining commentary through complimentary headphones provided as you get on the bus. Significant buildings and landmarks will be pointed out and you will gain an insight into the city itself. The personal recorded commentary is available in your choice of 10 languages: English, French, German, Spanish, Italian, Korean, Brazilian Portuguese, Japanese, Cantonese or Mandarin Chinese. 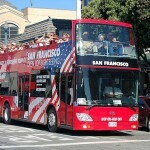 The hop-on, hop-off facility is a great benefit of the San Francisco Sightseeing Tour that enables you to explore all the sights at your leisure. There are more than 20 locations where you can get off the bus to visit attractions and monuments or see captivating places. 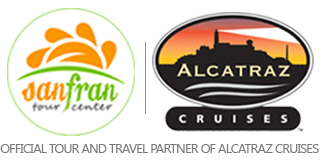 This facility also gives you the freedom to plan your own itinerary and to visit the attractions that engage you. You can leave the open-top buses as many times as you want within the validity period of your ticket. Buses run every 10-30 minutes depending on the day of the week and time of the year and the first bus departs at 9:00am from Fisherman's Wharf. The complete tour lasts approximately 2 hours and 30 minutes; however you can start and leave the tour at any of the hop-on, hop-off points. Hop-on and off at over 20 stops to look around the many attractions in San Francisco, before re-joining the tour to continue your sightseeing experience. This flexibility allows you to start the tour at your convenience and enables you to plan your journey with ease.